Where’s Mike? 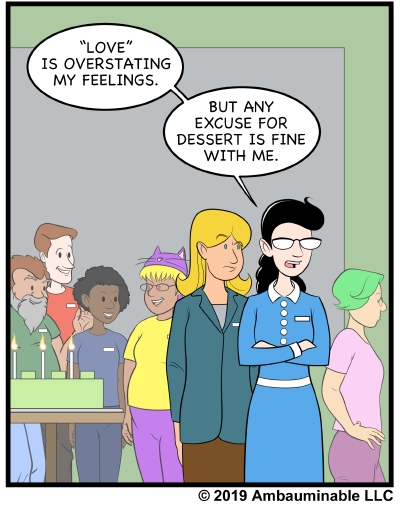 And, I know Stephanie is anti-social, so maybe she avoids parties? Or, maybe she’s staffing the info/ref desk because someone has to, eh? What about the pages? Just wondering. 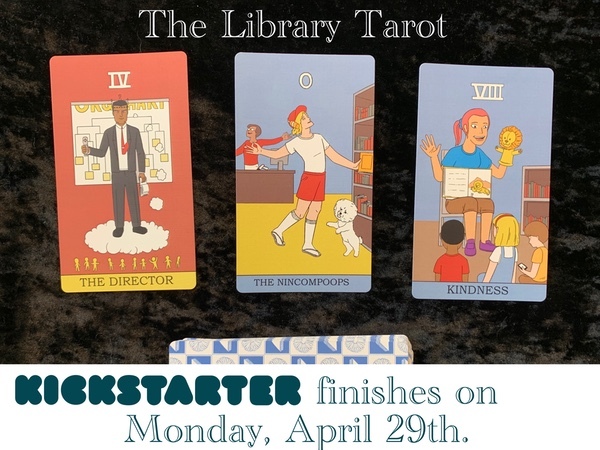 And, welcome back–I missed seeing the strip over the break! Happy 2019! 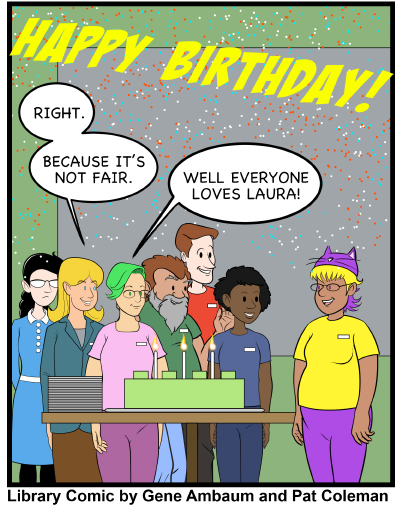 Hope to see you in Seattle at ALA. Oh, yes, and, of course, Happy Birthday, Laura! 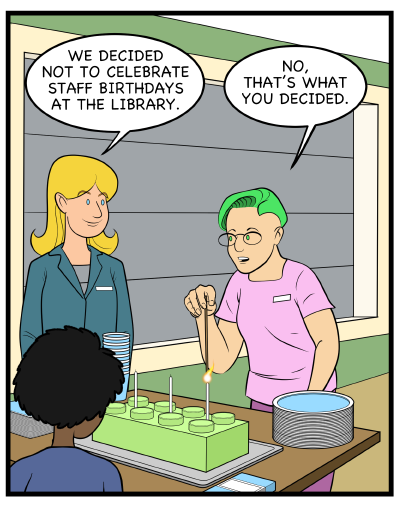 Yes, I think that that’s the most staff from the Library Comic library that made it into one strip! Hope to see you at ALA MW, Gene! 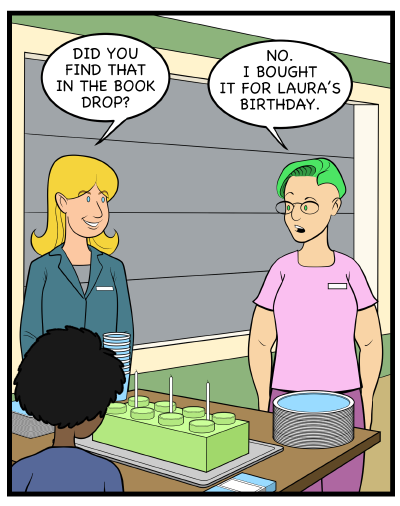 They may be out in the library, or they may work a different shift, but the cake looks like there should be enough for everyone. We love it when the Business Office has an event because there are usually leftovers in the break room the next day.